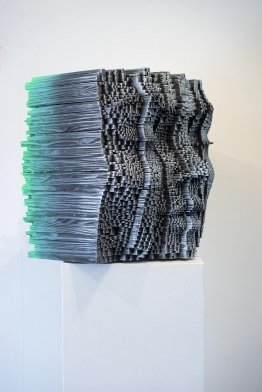 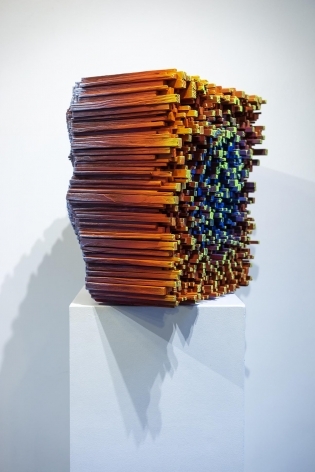 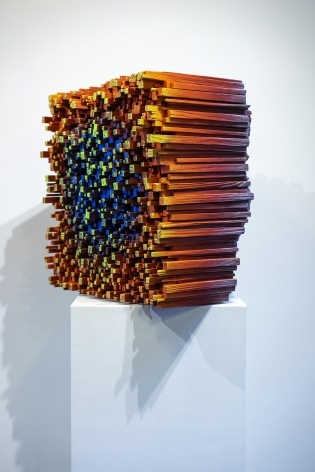 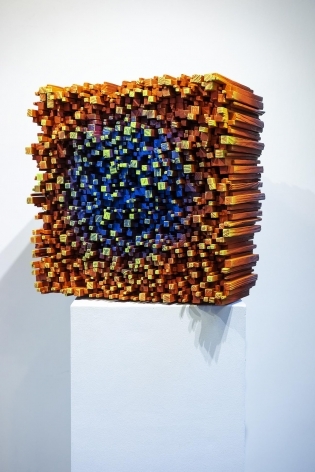 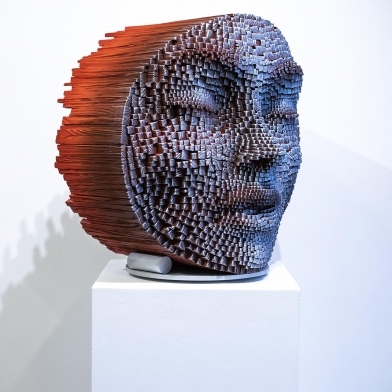 22" x 23" x 20"
For his unusual figurative sculptures artist Gil Bruvel splits lengths of lumber into manageable sticks which he arranges and paints in bright shades of blues, greens, and reds. 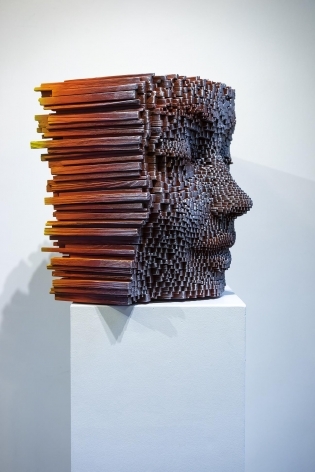 On one side, the wooden pieces configure into faces at rest in peaceful expressions, while on the reverse they remain jumbled and abstract. 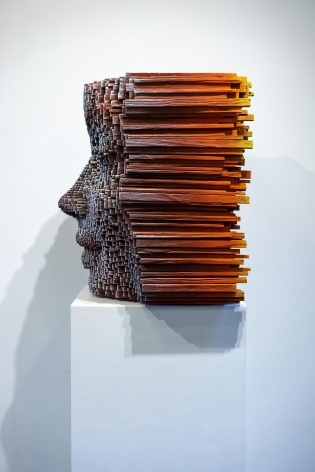 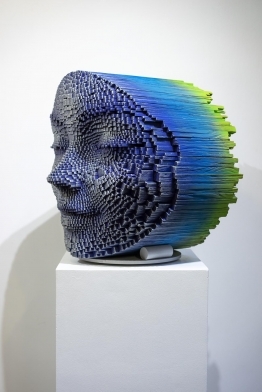 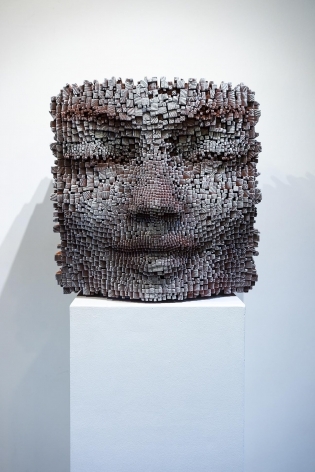 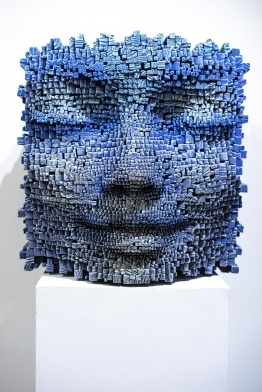 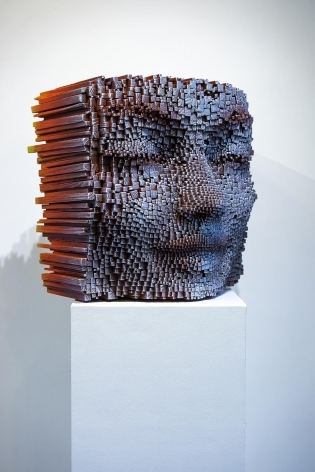 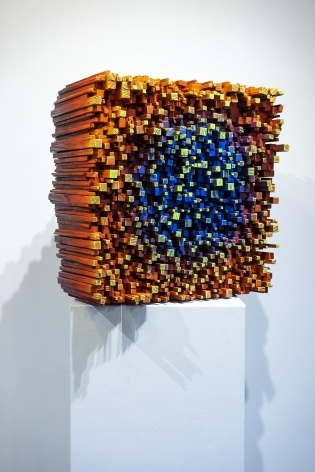 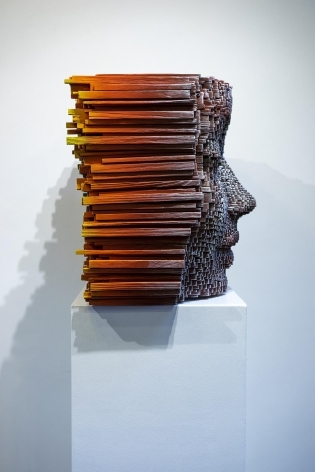 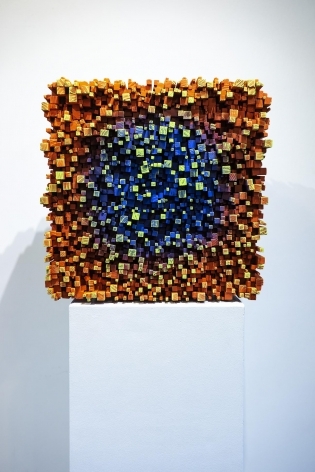 The pixelated sculptures appear like sophisticated pieces of three-dimensional pin art that reveal permanent images of faces, instead of temporary impressions of a nose or hand.